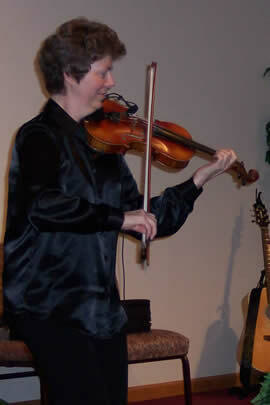 Loretta Thompson - Performing Celtic Fiddler! Western Cowboy Musical Entertainment by Loretta Thompson and the Heritage Band — Songs and Fiddle Tunes from the Old West. Celebrating along with the Denver National Western Stock Show! Another fun evening with Loretta Thompson and the Heritage Band, playing the best of Irish Songs and Irish Fiddling! Pot Luck Irish dinner and entertainment, immediately following Mass. Concert features the beautiful voice and expert Celtic fiddling of Loretta Thompson and the Heritage Band. You'll hear favorite Irish Songs and enjoy the Bennett Irish Stepdanders! Invited back for their sixth year of FUN! A highlight of the Estes Park Music Festival Concert Series, Loretta Thompson and The Heritage Band return for their sixth straight year of exciting Variety of Celtic, Country, and more - music, songs, and high-energy fiddling. Always a crowd-pleaser with a few surprises thrown in! Well worth the scenic drive to Estes Park and the fabulous historic Stanley Hotel. Come early, this show fills up fast! Bargain price tickets $5. at door. Sponsored by the Estes Park Music Festival, Inc. Concert Series. Fat Tuesday fun at Lakewood Meridian, West Balsam and Jewel in Lakewood, CO, 2nd fl. 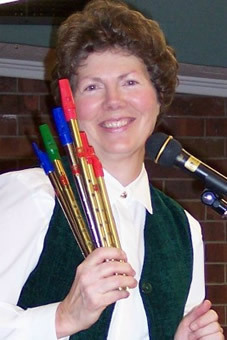 Concert evening with Loretta Thompson and the Heritage Band, playing the best of Irish Songs and Fiddling! Invited back for their fifth year of FUN! 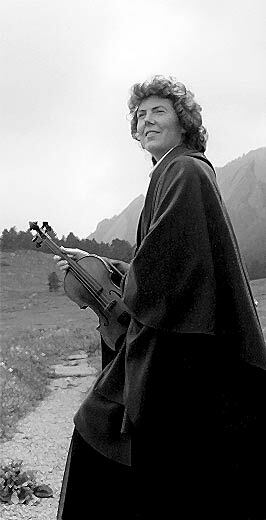 A highlight of the Estes Park Music Festival Concert Series, Loretta Thompson and The Heritage Band return for their fifth straight year of exciting Variety - Celtic & more - music, songs, and high-energy fiddling. Always a crowd-pleaser with a few surprises thrown in! SCOTTISH TARTAN Dinner & Ceilidh Dance evening! 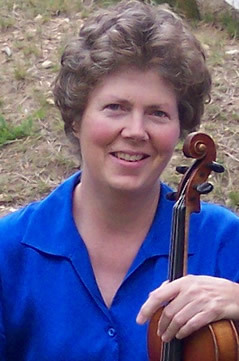 Loretta will be teaching Scottish fiddle tunes and technique on Monday and Wednesday 1:00-3:00. Call for fees, information and directions. Beautiful Wyoming state park setting near Laramie and Cheyenne. Friday, August 7, 2009 - 7:00 pm Scottish Wedding Ceilidh Dance for Corrinne D. in the Tuscany Ballroom, University of Denver. Scottish Music and Dance Entertainment provided by Loretta Thompson and the Heritage Band. Bring the entire family for a weekend of fun! Two Full Days of Celtic Culture and Entertainment! Saturday 9:00 am-11:00 pm Festival lasts ALL DAY and EVENING! Highland Games & Competitions, Pipes & Drums, Scottish and Irish entertainers, Highland Dancing, Irish Step Dancing, British Dog Breeds, Classic British Cars on Sunday, and much more. more great Celtic Music bands TBA! Saturday night Celtic Concert and Ceilidh will be held on the Festival grounds, offering food, beer, and nonstop Entertainment through Saturday night! Join us for some fabulous fun! Sunday 9:00 am - 5:00 pm Festival entertainment all day! near Grandby, CO... an unforgettable week of music and dance! Play all day and dance all night in a beautiful setting! Take lessons from World Class Musicians teaching traditional music for fiddle, guitar, banjo, piano, cello, bass, singing, dancing, and much more! From beginning to advanced players. THERE'S STILL TIME - CALL NOW!!! Evening of Scottish music and ceilidh dancing for the Long Term Ecological Research Network. Music and Entertainment by Loretta Thompson and the Band, with dances called by Tim Luscombe. Location: Estes Park YMCA, in the Long House building. Sunday, October 4 , 2009 - Scottish Wedding Ceilidh Dance for Amanda Wolf and Brian Bienneman. Entertainment provided by Loretta Thompson and the Heritage Band. TRANS CELTIC GALA evening concert! Featuring the fabulous musicianship of Oceans Apart (John Good and Steve Colby) and Loretta Thompson. Dancing by the Bennett School of Irish Dance, and exciting bagpipers as well. This full-scale theatric production features the Celtic music and songs from Ireland, Scotland, and Wales.